Carlos “Cali” Muñoz, Jacó Surfer champion, beat Brazilian Jadson Andre in a heads-up match and is among the top eight in the tournament. This time, Cali surpassed the ninth position that he occupied in the 2016 US Open edition. 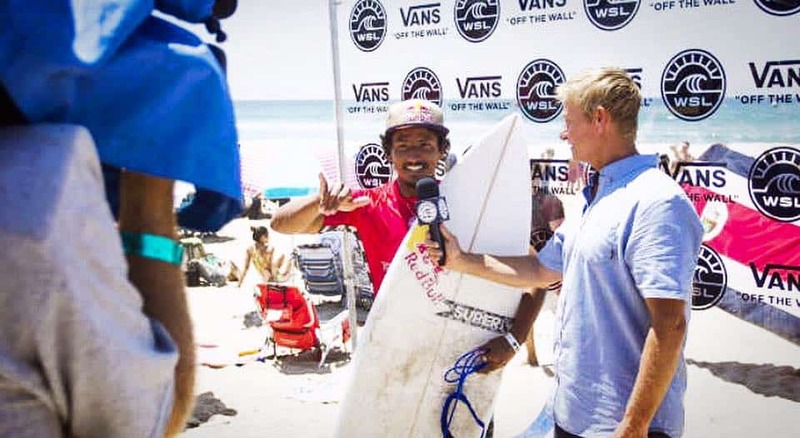 The US Open of Surfing in Huntington, California, was this Saturday complicated due to bad surf conditions. But Cali knew to have patience. He ran the indicated waves and added a 5.83 and a 7.83, to combine a 13.66. This gave him the 1st place, above the Brazilian Jadson Andre. The national surfer assured that he is also excited by the support of the Tico public on the beach. “When I’m in the water, I can hear them screaming. Thanks to everyone and pura vida” the Tico commented. Muñoz is assisted by American Jim Hogan, coach of the National Team. The Jacó native will compete in the quarter-finals against South Africa’s Michael February on Sunday. He expects to advance to the semi-final and final this Sunday. Carlos “Cali” Muñoz was born in Granada, Nicaragua, but grew up in Jaco Beach. Recently, in July, Carlos Muñoz was first place in the QS 1000 points, event that took place at Playa Revolcadero, Acapulco, Mexico.